Has back pain been giving you sleepless nights? Did you know that 7 out of 10 people will experience lower back pain at some time during their life? Back pain is more common than you think. People are constantly looking for lower back pain remedies. 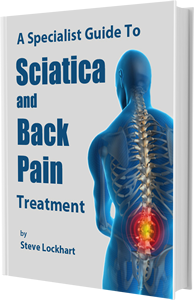 Along with low back pain, sciatica is another common problem found now-a-days. It is a condition where pain from your lower back goes down to the leg. It is basically the pain along sciatica nerve. Stretching and other exercises can relieve this kind of pain. One of the most important things to do to deal with back problems is to correct your posture. Make a habit to check your posture from time to time in a day. Use an ergonomic chair instead of a simple chair to support your spine while you are sitting. Avoid hunching forward or slouching. The aim is to keep your spine erect. When you want to lift something up, do not bend at the waist. Keep your back straight and bend at your knees. Make a habit of getting up and walking around once every hour. This is vital for people who have a desk job. You can also opt for a standup desk or simply stand at your desk and work every now and then. Prolonged rest can make your back pain worse. Keep your body active. Apart from regular exercises, go for walking every day. Walking helps in stability of your spine and supplying oxygen and nutrients to the muscles. Sleep well! It is an essential nutrient for your body. If you face back pain when you get up in the morning, get your mattress checked. You need a good mattress that supports with natural spinal alignment. Look for alternative ways to medication to relieve pain. Exercises, physical therapy, massage therapy and more have found to be extremely beneficial. Whenever you are in pain, stretch your body. Your choice of footwear can cause or relieve back pain. Opt for supportive footwear that provides stability and improves overall posture of the body. Remember if your low back pain aggravates or does not improve for over 6 weeks, consult a physician. Don’t let low back pains result in missed work days! Follow these tips to relieve and prevent back issues. Some good tip here thanks, all except the one to stretch your body when you have back pain which doesn't work.